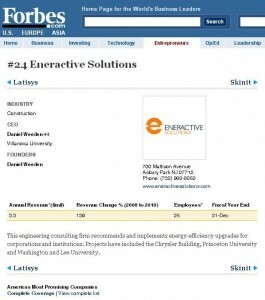 ENERActive Solutions (ENERActive), an independent, full-service energy consulting, engineering, and project development company, announced today that their team has been ranked Number 24 on Forbes’ 2011 list of America’s 100 Most Promising Companies. The list features 100 privately-held up-and-comers with compelling business models, strong management teams, notable customers, strategic partners, and precious investment capital. ENERActive provides independently-tailored energy solutions for organizations seeking to reduce operating costs and improve environmental attributes through fiscally-prudent and socially-responsible initiatives. In what is a competitive and vacillating business environment, ENERActive’s President and CEO, Dan Weeden, credits the success of the company to operating outside the bounds of traditional hierarchy and process, while maintaining a strong company culture for vision and technical excellence. 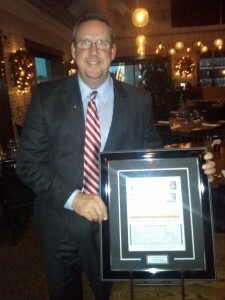 And the list of clients continues to grow for ENERActive. Johnson & Johnson, Princeton University, The Dana Farber Cancer Institute, and the American Water Company are just a few of the companies who trust ENERActive to bring them innovative energy-performance enhancements and new ways to achieve improved facility operations. As described on the Forbes web site concerning how they went about developing this year’s list, Forbes sharpened their search by teaming up with CB Insights, a Manhattan-based data firm that tracks investments in high-growth private companies. With $650,000 in grants from the National Science Foundation, CB Insights developed a complex software called “Mosaic” that mines a myriad of online sources (from press releases and social networks to job boards and court filings) to come up with one, algorithmically-derived score that measures a private company’s health (see http://www.forbes.com/sites/brettnelson/2011/11/30/how-we-selected-americas-most-promising-companies/ ). Forbes combined Mosaic’s data-crunching technique with old-fashioned reporting to assemble a list of rising stars with bright growth prospects. 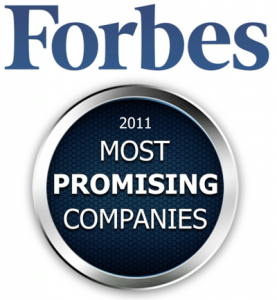 To view the complete the list, please visit: http://www.forbes.com/ampc.